. :: ParaFX.com - Go GREEN ::. 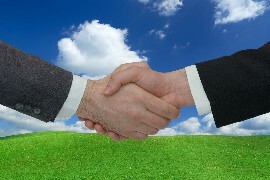 ParaFX.com strives to be an environmentally conscious and responsible business. Our operations are always conducted with environmental issues in mind. Further to that, we also have in place, several initiatives and methodologies to reduce waste, improve the environment and work towards a GREENER World that we can all be proud of. How does ParaFX.com help the GREEN Effort? You will receive a copy of your invoice in the form of an email attachment, which you can review if you wish or print a copy for your records. GO GREEN today, Email Us to request E-Invoicing. Please be sure to include your customer ID / Domain name in your email. We will then contact you via email to confirm what address you would like your invoices sent to. Repurpose -. Previously in service hardware is often relegated to be used as replacement parts for existing infrastructure. Most often hardware that is no longer suitable for production is re-purposed for development and testing systems to reduce our footprint on landfills. Recycling - All working computer hardware is kept in our storage facility. At various points in our fiscal year, ParaFX.com donates system administrator time to building usable computer systems from extra parts. These computers are provided to individuals, schools, and various other charitable organizations. Any hardware that can not be donated or repurposed is not disposed of into landfills. We take all old hardware to reputable recycling programs that properly and safely recycle the hardware. In the interests of security - all data hardware is retained (hard drives, tapes etc) by us to ensure client safety. We then destroy all such hardware to ensure that no confidential information can be recovered. Our office operates on a mandate of minimal paper use / paper waste. Over 85% of our vendors provide us electronic correspondence and invoicing to minimize use of paper products and reduce waste. ParaFX.com also operates all communications internally using electronic methods. No Memos, internal newsletters or printed material is used within our office and staff. All correspondence is conducted via email or other electronic means. Recycled Material - All paper products used by ParaFX.com for customer invoicing contain a minimum 60% post consumer paper. Recycling - ParaFX.com values our customers’ privacy. As such, all paper correspondence from customers is filed, or disposed of via secure shredding practices. Energy conservation is probably the most difficult to overcome in our operation. As ParaFX.com operates its own data centre, we have many energy users within our operation. However, all efforts are made to conserve where possible as well. ParaFX.com conducts its office business from the same facility as our data centre. Our office centre resides in the same location as our datacentre. The office portion employs its own separate infrastructure. We also operate remote external monitoring of our services, which is accomplished by an additional infrastructure, but residing in the same location. Office Lighting - ParaFX.com makes use of efficient lighting such as compact fluorescents and reduced fluorescent lighting. During daytime operation, blinds are opened and desks are positioned to remove glare. This allows us to use daylight rather than thousands of watts of office lighting. If additional lighting is needed, ParaFX.com has energy wise desk lamps, and low light options to conserve, again to not have to light the entire office space like many businesses do. Other Conservation - ParaFX.com also understands that customer serving equipment (servers, network devices etc) must remain powered on at all times. However internal equipment such as printers, workstations, monitors etc do not need to be powered when not in use. We therefore turn off all equipment when not in use. This includes printers, fax machines, photocopiers, workstations, etc. Again, its a minor issue, but can make a difference. All monitors on workstations are low energy flat screens, as traditional CRT monitors consume approximately 75% more power. These are just some of the ways ParaFX.com has chosen to conduct business in a sound and ecologically conscious work environment. As always we are open to, and indeed encourage suggestions from our clients. Watch our site for future methods and ways we can work together for a GREENER World.